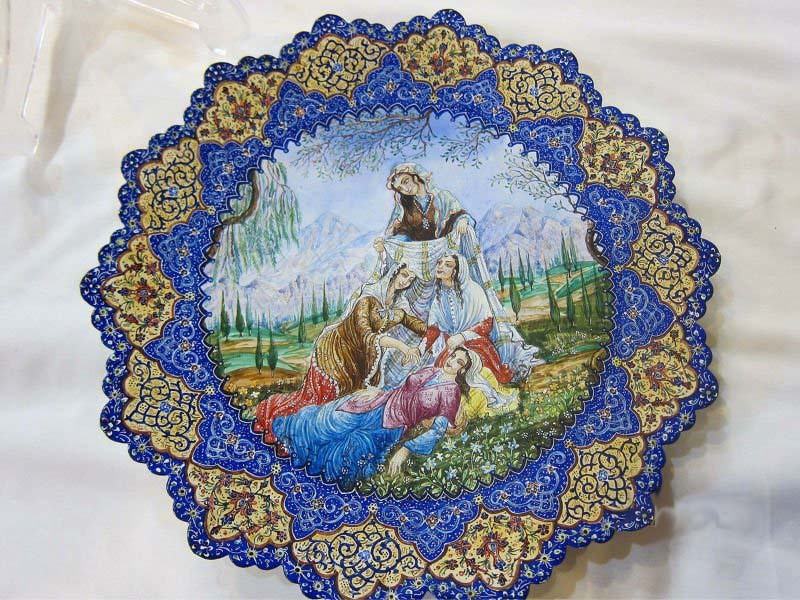 Add a perfect touch to your Persian-themed decor with this decorative plate. It features an attractive mosaic of styles called esleemee in Persian. It makes a great gift too! Dimensions: 28.5 cm diameter (approximately 11.25").